I just completed the chapter on numerical computation in the Deep Learning book by Ian Goodfellow, Yoshua Bengio and Aaron Courville. The topic of gradient-based optimization using various algorithms is explored. The example they give at the end of the chapter is using least squares to minimize a function. 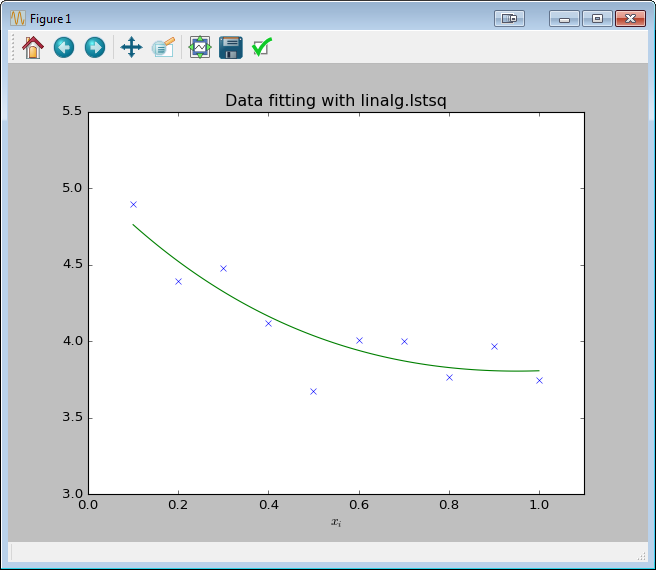 This is also known as “curve-fitting”, often performed when trying to tune parameters of a model function to best match the some collected data. "Least-squares problems occur in many branches of applied mathematics. In this problem a set of linear scaling coefficients is sought that allow a model to fit data. In particular it is assumed that data y i is related to data x i through a set of coefficients c j and model functions f j ( x i ) via the model". 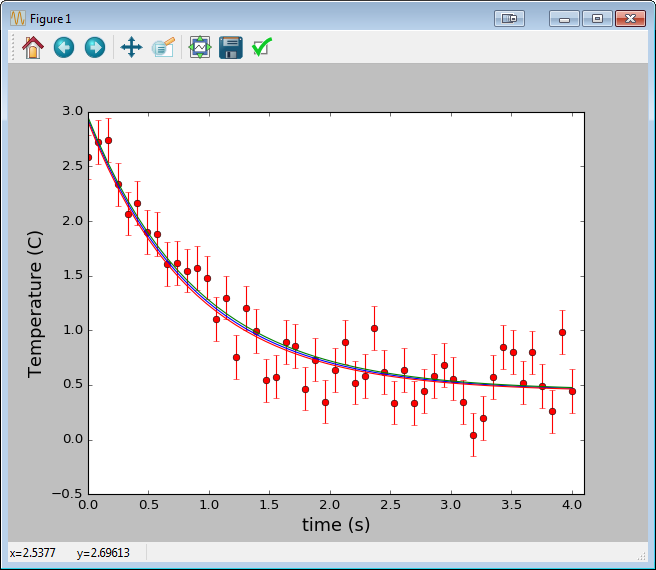 Similarly, here’s a good example of using scipy.optimize.curve_fit, a convenient wrapper around scipy.optimize.leastsq. Here we’re fitting time vs temperature data in a cooling cup of coffee.